Accepting the 2017 Lifetime Achievement Award at the Camerimage Film Festival, two-time Oscar winner John Toll, ASC was honored throughout the week with a series of screenings, panels and discussions. 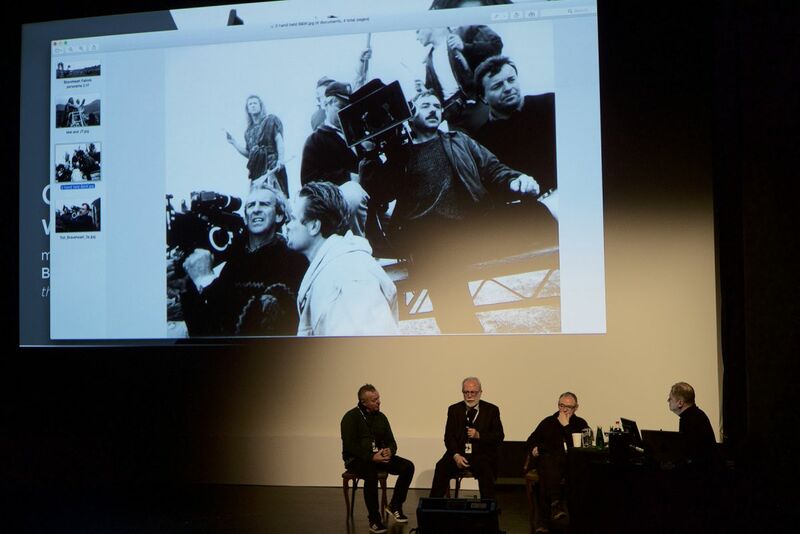 During a panel moderated by American Cinematographer's European correspondent Benjamin B, Toll gave an overview of his work in such films as Wind (1992, directed by Carroll Ballard), Legends of the Fall (1994, Ed Zwick), Braveheart (1995, Mel Gibson), The Thin Red Line (1998, Terence Malick) and others. He was joined by surprise guests, including gaffer Jim Plannette. Retrospective screenings of Toll’s work included the above films as well as Almost Famous (2000, Cameron Crowe) The Last Samurai, (2003, Ed Zwick), and the pilot for Breaking Bad (2008, Vince Gilligan). Toll spoke with attendees after The Thin Red Line screening, took part in a Panavision workshop, and held a Q&A with Lana Wachowski regarding their collaboration on the series Sense8. Before accepting his Lifetime Achievement Award, he met with American Cinematographer to talk about Camerimage. 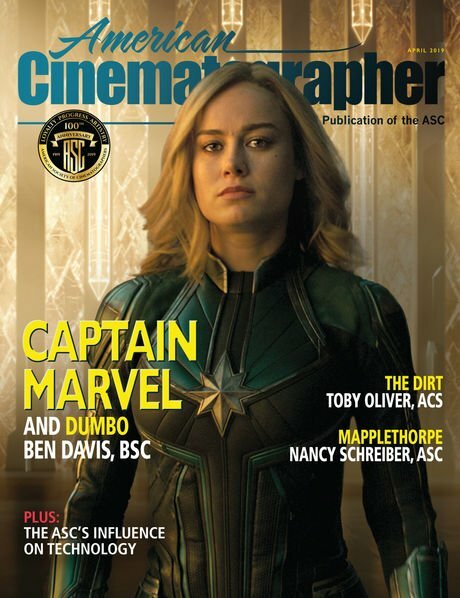 American Cinematographer: How many times have you been to Camerimage? John Toll, ASC: This is my fourth trip. The first one was when they were in Lodz. The festival seems to get better every year and more people are coming. It’s impossible to take advantage of it all, but that is an incentive to keep coming back. It's amazing what Marek Zydowicz, the festival director, and his staff have been able to accomplish. The support and participation he gets from cinematographers and other filmmakers, as well as equipment manufacturers, from all over the world is fantastic. The first year I was here I was on the main jury. The second year I was on a student film jury. Last year I was on a TV pilot jury. All were equally interesting. Toll (behind camera, on left) and director Carroll Ballard (behind camera, on right) set up shots while filming the cinematographer's feature debut, the sailboat-racing drama Wind (1992). One of the selling points is that everyone is approachable. It's all very casual and open. In a very pleasant way, it reminds me of what being on a big cruise ship might be like. There are hundreds of people you're interacting with constantly for about week or so. Sooner or later you run into everyone and everyone is very open. Camerimage is an event dedicated to the appreciation of the art and skill of Cinematographers and we’re thrilled to be here and able to share the experience. The sci-fi adventure Jupiter Ascending (2015) was the second collaboration between Toll (pictured) and directors Lily and Lana Wachowski, following the ambitious and surreal drama Cloud Atlas (2012). It's also a chance to meet up with colleagues. Gaffer Jim Plannette showed up at your Panavision workshop, for example. Yes, that is a good example of the unique nature of this event. I worked with Jim for many years and we’re good friends. He’s been coming to Camerimage for quite a while. I encouraged Benjamin to include Jim on the panel because he made great contributions to several films I photographed. He is a consummate professional and a dedicated filmmaker. Several other crew members I work with were here as well. I just finished a Netflix series, Sense8 directed by Lana and Lily Wachowski. We were shooting in Berlin, and we just finished on Sunday. So Camera Operator Daniele Massaccesi, gaffer Jarred Waldron, key grip Art Bartels, and I drove here from Berlin and arrived Monday afternoon. Lana also came to Camerimage for a panel discussion on our production approach on Sense8. Working on this show was a very unique experience for all of us. I shot two seasons and we had the same basic team on both. On the second season we shot in twenty cities in 14 different countries and did a huge amount of work in a limited amount of time. Out of necessity, we adopted a very improvisational and practical approach. Generally, it was “forget everything you’ve learned about “proper procedure” and the “rules” of filmmaking. We not only broke the rules, we didn't even think about the rules we were breaking. If we had been working at a major studio we definitely would have wound up in movie jail. Had the Wachowskis planned for additional seasons? I’m not sure what the initial plan was, but apparently Netflix decided that the show wasn't getting the viewers that justified the expense and cancelled after two seasons. Season two ended as a cliffhanger and then Netflix cancelled it. The audience, who Netflix believed wasn't there, started protesting. There was a huge online outcry so we went back and shot a two-hour finale to the series. It was all rather odd. When Sense8 was first released on Netflix, I didn’t watched the show for a few months because I had seen it so often in multiple color timing finishing sessions. When I did try to pull it up on Netflix I couldn't find it. It wasn’t promoted and you had to search for it. They had pages and pages of promotion for other programming but you had to search for Sense8. "Nobody's watching the show"? Duh!! It's more like they can't find it. A ladderpod comes into play while filming on location in Canada for Legends of the Fall (1994), shot by Toll and directed by Edward Zwick. His work in the film earned the cinematographer his first Oscar as well as an ASC Award nomination. Do you shoot television and feature films differently? I’ve never made a distinction in terms of a “feature or television” style. I’ve never thought about it that way to be quite honest. Ideally, I design images for the way they tell a story and how they will be seen and appreciated. The size of the screen and the length of time to tell that story definitely influence visual choices. So you don't compensate in your framing, your composition? Yes I do, because we’re constantly shooting for the way that story is going to be seen. But I think we’ve generally moved away from a “feature or TV look” mentality. I’ve never really understood that kind of distinction, and fortunately because of distribution alternatives like Netflix, experienced feature filmmakers are creating that market content and creativity has become more important than a rigid “feature or TV” mentality. But your television looks different from other shows. What you contributed to Breaking Bad, for example, helped define what that show was. It gave a tone, a feeling to the show that went beyond script and performance. Vince Gilligan [the writer and director of Breaking Bad] is a great filmmaker. We spoke quite a bit about that particular story, how it might look, and how it was going to be seen. I don’t recall any discussion about a “feature or TV look.” We were just telling a story and thinking about an appropriate look that would be seen on a particular size screen. That might be an oversimplification, but people have a tendency to overcomplicate or inflate this process. Look, it’s never really simple and I don't mean to imply that it’s easy, it's never really easy. But it’s much more enjoyable if you approach it from the point of view that it's not life and death and leave yourself open to ideas and the whole nature of the collaboration. Breaking Bad was very challenging because of budget and schedule and it was hard work, but we had an enormous amount of fun doing it. We all came together, cast, crew, and everyone else, to make a “movie.” We worked very hard and managed to have some fun along the way. This is also what working with the Wachowskis is like. They are incredibly creative, incredibly serious about the work, but we manage to have fun. Shouldering a Panaflex, Toll operates handheld while filming one of the many harrowing battle sequences seen in the poetic World War II drama The Thin Red Line (1998), directed by Terrence Malick. You spoke after the screening of The Thin Red Line. What was it like seeing it on the big screen with an audience? Sometimes I'm reluctant to sit through screenings of my own work, especially with audiences, because I'm worried it's not going to be a great display. When I do a film I put an incredible amount of energy into postproduction, trying to make it look exactly the way I intended. You never know what you're going to walk into at a screening because you’re not sure what the source is. I get very depressed watching a bad print or horrible digital display of a film I might have spent days or weeks doing meticulous final color correction for. So, I didn't watch the entire screening of The Thin Red Line at Camerimage, although I do know that [Camerimage Festival Office Director] Kazik Suwala at Camerimage puts great effort into guaranteeing the best possible projection quality at the screenings. I believe it was a projected Blu-ray disc and I stepped in a little bit prior to the finish and stood in the aisle watching it. It happened to be very good quality and looked great and I was sorry I didn’t sit through the whole film. There's nothing worse than seeing an inferior projected version of a film you basically bled over in final color correction and finish, but nothing better than to see a really great print along with a full audience. On location amidst the grassy hills of the north coast near Queensland, Australia, the Thin Red Line team executes a sweeping shot of a battlefield using an Akela crane and Libra 3 head. His work earned Toll an ASC Award, as well as another Oscar nomination, among other honors. How involved do you get in postproduction on your films? I go out of my way to participate in the whole process, through to final finish. I've actually turned down new jobs to be available for final color correction. I did that on The Thin Red Line and on Wind because they were very important films for me and it was essential the final look come as close as possible to the original visual intent. I find it impossible to watch anything that I've shot that is not reproduced in the way it was intended to look. Being available and present at final color correction is the only way to guarantee this will happen. 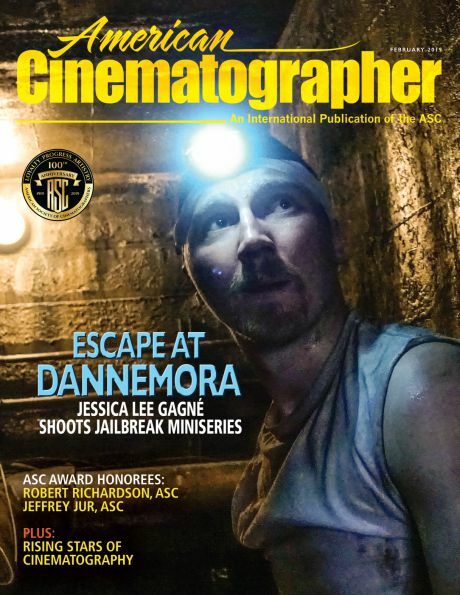 We’ve all heard nightmare stories about cinematographers not being present for final color correction and the process being “helped” by other members of the team with disastrous results. So film preservation must be a concern for you. Certainly. Preservation of all forms of our work is essential. I’m not currently up to date on what the latest ideas for preservation of digital media are. I know there have been suggestions about film being the safest way to store digital media, but I don’t know where we presently are with that, other than it’s an on-going concern. 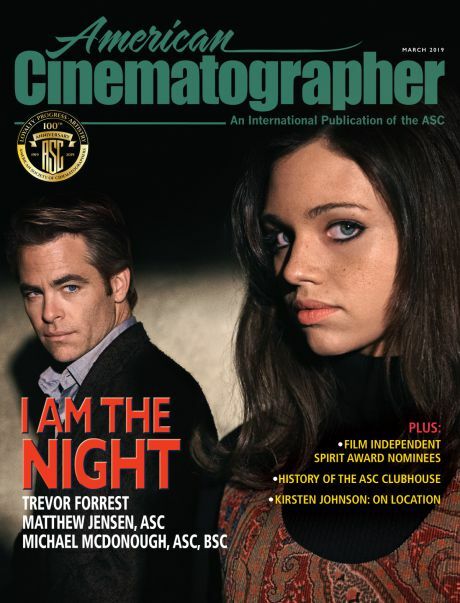 At Camerimage this year, we ran film prints of several feature films I photographed. I was nervous about how they would look because they were regular release prints that were made 20 or more years ago. I was able to screen at least one reel of each before they were sent to Camerimage. Fortunately they held up well and looked pretty good. Have you taken sides in the film vs. digital argument? I guess I’m having trouble understanding what the argument is actually all about. Unless you shoot on film and finish on film, are you really looking at film? Does a DI and digital projection really reproduce the image characteristics that encouraged you to shoot film in the first place? I haven’t actually done a controlled comparison, but I think there might be an emotional attraction to film that takes over some of the argument. However, I do think it would be fun to shoot a feature on film if it was appropriate to the nature of the story. Toll (right) lines up a shot on the set of Billy Lynn's Long Halftime Walk (2016), directed by Ang Lee. Speaking of technology, were you surprised by the reaction to Billy Lynn’s Long Halftime Walk? I was disappointed Billy Lynn didn’t get the support it deserved. There were a couple of unfortunate reviews that seemed to be written before anyone saw it. They were writing things like "It hurt my eyes," "It looked like bad TV," that kind of thing. The studio got cold feet and pulled it. They even pulled the 2D version which was mind-boggling. It's a good film. Did you like the high frame rate? Did it look better? It's unique. That particular film was a character-driven dialogue movie with one large action scene in the middle. There is a distinct difference in the way it looks. There's a certain clarity, an immersive quality that feels like you're in the movie more than watching it. Ang Lee is an unbelievable director and is as talented as anyone I've worked with. He has an incredible eye and is able to recognize visual characteristics and qualities that are not readily apparent to many people. He's trying to bring an enhanced viewing experience to the audience. Using multiple camera setups, Toll prepares to shoot a scene depicting the Battle of Falkirk during the filming of the period epic Braveheart (1995), directed by and starring Mel Gibson. His work earned the cinematographer his second consecutive Oscar and the ASC Award. There have been complaints this year about the use of violence in some of the movies screened, even about Braveheart. Braveheart was rather unique at the time it was made because of the graphic nature of the violence. Mel [Gibson] was interested in portraying the reality of that period of history and type of warfare. At the time it was central to the story and was much of the reason that film stood out as unique. I agree that idea has become very overused and I don’t support the graphic, gratuitous use of violence that has become very common. Graphic violence has somehow become the standard, as in, “if it’s not graphic it’s not cool.” I think this is a very unhealthy idea and it’s definitely time for a change. If a project like Braveheart came to you now, would you accept it? Not really. For all the previous reasons, as well as “been there, done that.” And I’ve done it more than once. So how do you decide to accept a project? There are two primary requirements. Who is doing it and why are they doing it? If it is a director you’ve worked with and respect, you give them the benefit of the doubt and assume that it’s all going to be fine and look forward to the opportunity. If it’s someone you haven’t worked with, I'm curious about their ideas. What's the story? Why is it interesting? What are some of the ideas about visual style? You get enough out of those conversations to get a feeling if you are the right person for that project. I've turned down projects because I felt I wasn't the appropriate person for that job and believed I would never get in sync with the director. Toll was honored with the ASC Lifetime Achievement Award in 2016. Toll checks his light on actor Tom Cruise while shooting the mysteriously trippy sci-fi thriller Vanilla Sky (2001), directed by Cameron Crowe.